I like stouts...and I like oatmeal stouts. Why not make one? I needed to build up my Wyeast 1968 to save anyway. 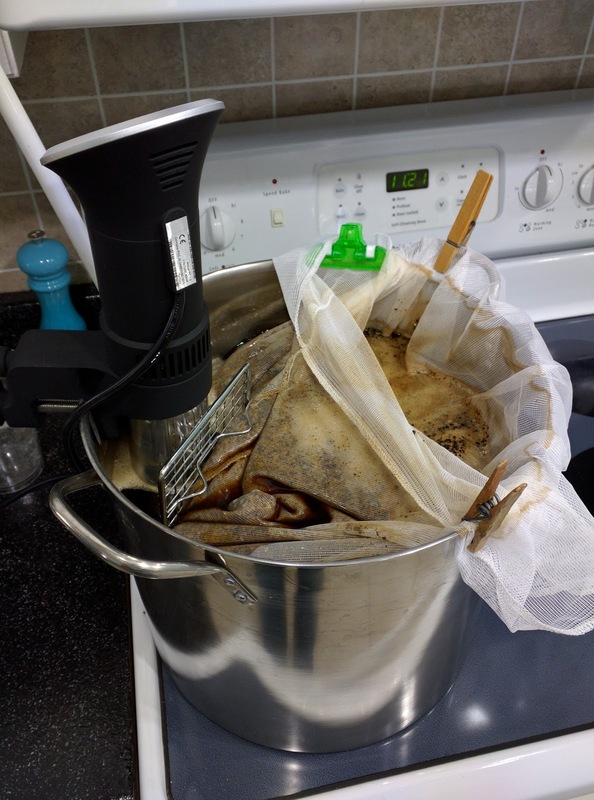 I also wanted to try using coconut sugar in a brew; its light coconut and heavy caramel flavor seemed like it would compliment a stout. I kept the recipe similar to my first stout, substituting the rye for flaked oats. The LHBS only had pale chocolate malt though, which left this batch a little lighter than the last. Overall, I think it was a good batch, definitely room for improvement and tweaking though. Brix at 13.2 after mash. Forgot to mash out...doesn't seem to have caused any problems though. Added 1 cup of coconut palm sugar as it was coming up to a boil. During cooling the drill pooped out because I forgot to recharge it from the day before. Was able to run icewater through the chiller for about 5 minutes. That should have gotten the temperature below 170F at least. Cooled in a water batch the rest of the time. Gravity is 1.062 @ 75F, so efficiency was better than expected. Added fermcap as well. Aerated with the immersion blender until volume per foam was increased by a quart. Wort doing into the fermentor had a great flavor... chocolate caramel. 1/28/2016: gravity is 1.02. Added 1/2 tsp of fermax dissolved in water to give it a boost. 2/1/2016: gravity is 1.02. Gave it a swirl to rouse the yeast. Appearance: dark brown, not quite black. Tan head that quickly falls away, but leaves lacing. 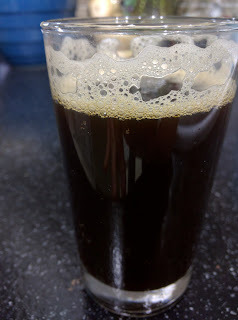 Mouthfeel: full mouthfeel with maybe a bit too much carbonation. Somewhat dry. Not creamy. Taste: very little bitterness or astringency. Some dark chocolate and roast flavor. Bit of burnt sugar. Hops are not obvious. Maybe a hint of caramel. 3/20/2016: sidenote, boilermaker with kraken rum is excellent. 3/29/2016: keg kicked. 242oz served.